There are a lot of details to make sure you get covered before you host a party worthy of Sunday’s Big Game. After all, it’s the end of the season. A party is a must. Regardless of what your football party strategy is, there is no doubt that beer is going to play a key role in your party’s success. 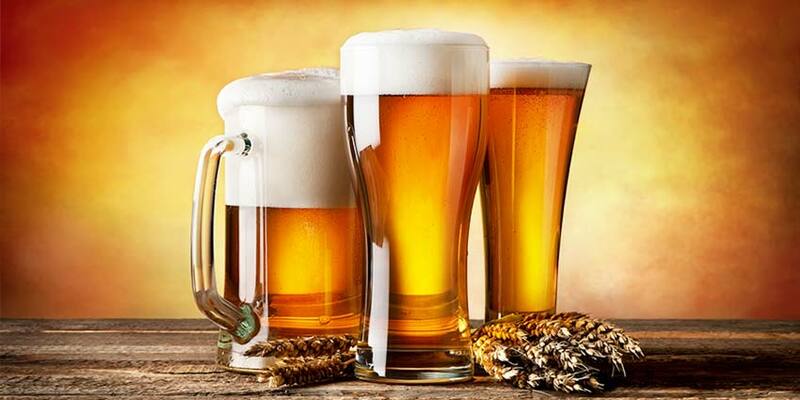 There are a lot of different ways to can manage the flow of beer depending upon what types of beer your guests enjoy. Take a look at this year’s top seven beer items that will make you and your party the MVP of the season. The EdgeStar 103 can and 5 bottle Extreme Cool Beverage Cooler is a great way to save space without worrying about running out of cold beer during the game. Not only do EdgeStar beverage coolers reach the coldest temperatures of all comparable units on the market, but it also takes up very little space. In total it needs only 3.6 cubic feet which makes it perfect for whatever room you will watching the game in. The best part, is that they are designed to also hold 5 bottles of wine or liquor, which makes it easy for you accommodate whatever else your guests want to drink. The easiest way to provide beer to your guests during Sunday’s Big party is by making it easy for them to get it themselves. A dual tap kegerator not only makes your life easier but also gives you the ability to offer multiple types of draft beer, all but guaranteeing there will be something for everyone. It is the ideal way to serve multiple beers without worrying about a room full of empty cans and bottles after the game. You have many dual-tap, or triple-tap, kegerators to choose from, but it’s hard to beat an Edgestar. I personally own this EdgeStar Dual-Tap Kegerator, and it’s great for large parties like this. Everybody wants to check it out and drink from it. Cut down on the trash and serve fresh beer. 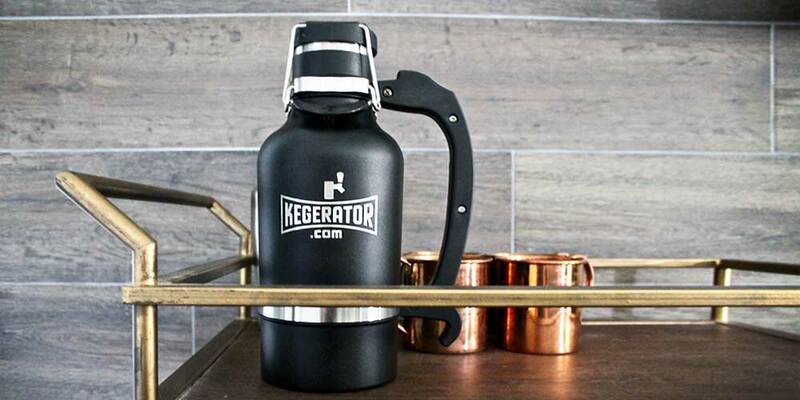 If you want to keep your Super Bowl party small or just don’t have the space for a full-sized kegerator then buying a mini kegerator would be a perfect solution. It offers all of the convenience of a full-sized kegerator without requiring as much space. The EdgeStar Deluxe Mini Kegerator stands only 15” high to ensure it is perfect for any counter top. Plus, its unique cooling system allows you to choose the perfect temperature for the beer you want to enjoy. If you need a little boost, the Avanti Portable Party Pub is the ideal next step up because it offers all of the convenience and power of a mini kegerator but has the capacity to hold two mini kegs. 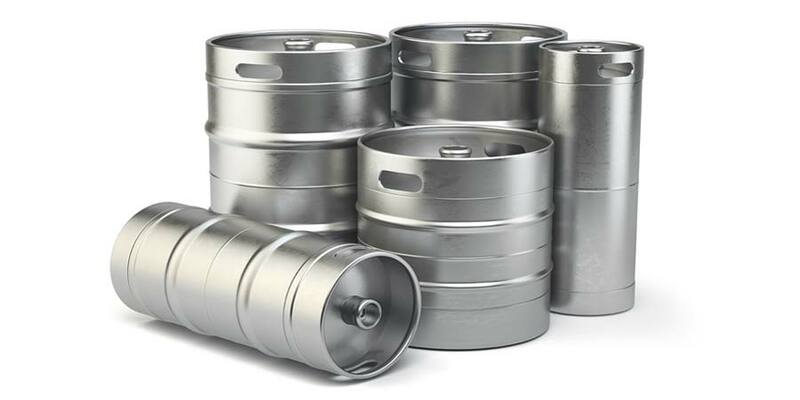 If you are planning on renting kegs for Sunday’s Big Game or just don’t think you would use a full-sized kegerator very often, then a Jockey Box is the perfect compromise. It ensures you will serve cold, refreshing beer by super-chilling the beer immediately before it is poured. Just add water and ice to the inside of the Jockey Box and connect your kegs to connectors and all of your beer will be instantly chilled as it runs from the keg to your glass. Plus, it features a recessed drain plug to make your after party cleanup a snap. It doesn’t matter if you are only serving beer or providing liquor as well, there is always a group of people who will run through your ice in minutes. Why should you miss part of the game just because you ran out of ice? Having a portable ice maker at your disposal will eliminate this problem. The EdgeStar Portable Ice Maker eliminates the need for ice trays. In fact, from the second your turn it on, the portable ice maker only needs about 10 minutes to create ice cubes. It has the ability to make 28 pounds of bullet ice cubes per day. I’ve said it time and time again. If you’re going to drink beer, you should do it out of the right type of glassware. In fact, there’s different types of glassware for almost every style of beer. The aromas, the flavor, the presentation, it’s all just better when you use the right glass. There’s no better time to introduce your friends and family to the right glassware for their favorite beer, than Sunday’s big game. When you add in a kegerator or jockey box, you’ve set up a perfect scenario to serve the freshest, best-tasting draught beer right in the comfort of your home. Whether you’re serving beer, liquor or wine, it’s inevitable that somebody will need some sort of “bar tool” during the course of the big game. Avoid this problem by having a nice set of bar tools on standby. There’s a bunch of options out there, but my personal favorite is the VIP Barware Collection from Metrokane. The stainless steel and black leather gives it a sophisticated look that goes great in my kitchen. Of course, your decor may be different, but this set has everything you need, including the coveted bottle-opener. Don’t get left in the dust at your party. If you really want to throw an MVP party during Sunday’s big game, then you should consider grabbing some of the beer items on this list. Not only does it guarantee the best party on the block, but it’ll be more memorable than any commercial aired during the game. What would you bring to the big end-of-year football party? I’d love to hear it in the comments below.